Tape on the tea box that I used instead of a sandwich bag, the bottle that I had to pee into when I got my check ups before heading overseas, the tofu wrapped packaging that I bought at the supermarket. In the last ten years there has been more plastic produced than in the entire century before that. It is estimated that half of this plastic is disposable, yet made of non-disposable materials. In the US alone there are over 38 billion water bottles thrown away, every year. The average plastic used each year, per person, sits above 136 kilograms. With over 80% of ocean plastics leaked from land, your first thought may turn to the big, noticeable chunks of plastic. Obvious things like water bottles, bags and packaging. Over time, as a result of sunlight, waves and salt, these big chunks are breaking up, not down. Microplastics are everywhere in our oceans. Think for a moment of the Blue Whale, a majestic sea creature that opens its mouth and swallows 75000 gallons of water in one gulp. What this whale doesn’t realise is that at the same time as swallowing water and feeding on krill, it is also swallowing microplastics. The result is blocked digestive systems for sea creatures and birds, with scientists estimating that over 90% of sea birds have plastic in their bellies. The toxins from the plastic move into the blood stream, before making their way to the fatty tissue that surrounds the vital organs. If you are a human that eats sea creatures, then the same is happening to you. It seems like a daunting problem, and it is. But starting with small changes is the best way to approach anything, and the issue of plastic in our oceans is no different. It starts with us. 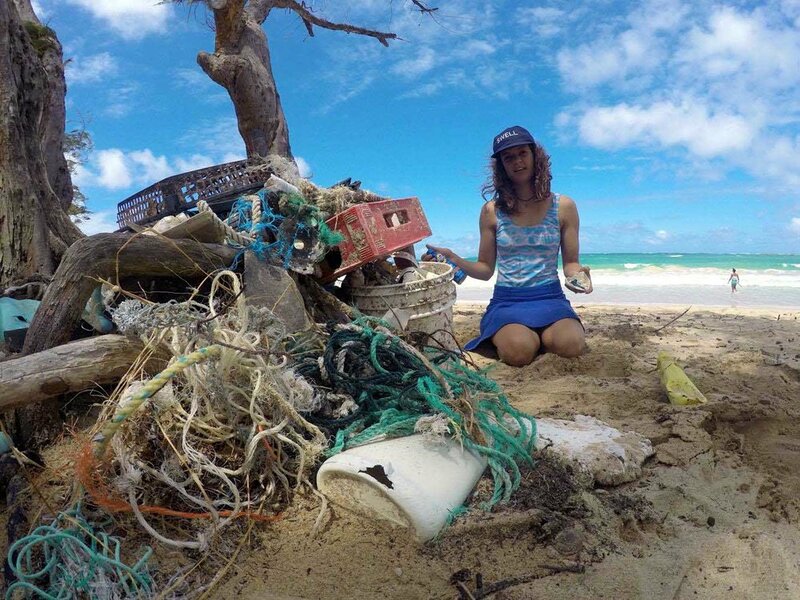 Keeping track of your waste is a good way to bring awareness to how much plastic you are consuming personally, and from there start to make changes to lesson that count. A wooden toothbrush, your own water bottle, a jar a straw and your own set of cutlery are easy places to start. Yes it takes a little more effort to strive for a plastic free lifestyle, but are our oceans and the creatures that inhabit that wonderful wordless world not worth it? Is the future of our planet, a place where we wish to raise future generations, not worth it? It’s time we take responsibility for our own actions and hold ourselves accountable to the choices that we make on a day-to-day basis.